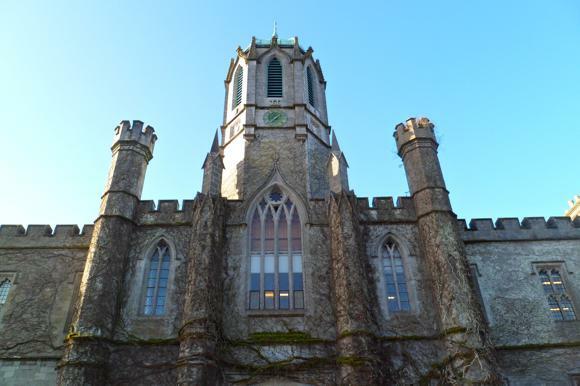 Such is the high profile of sport in Galway that an FAI commission insisted that the country’s fourth city be represented in the League of Ireland. This was in 2012. Galway United, headed by CEO Nick Leeson of Barings Bank infamy, had collapsed with five-figure debts. The club’s last and only major silverware was won in 1991, an FAI Cup victory. 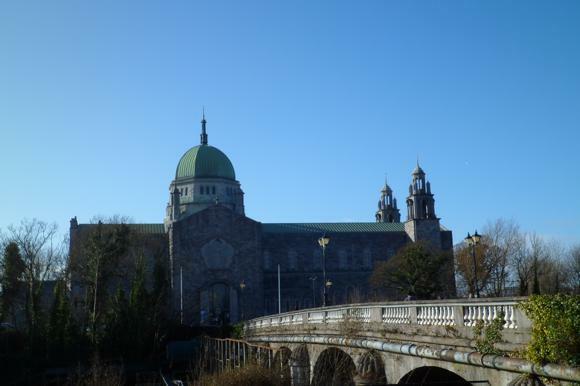 Yet this was Galway, home of showcase horse racing, hurling and GAA. Surely there should be a flagship soccer club? There was an emotional pull as well. Galway’s own Eamonn Deacy, an FAI Cup winner in 1991, a League champion with Aston Villa in 1981, died of a heart attack in 2012. The Terryland ground was to take his name. Deacy himself had scored the first senior-league goal here in 1977, playing for Galway Rovers, the later Galway United. The ground had even once belonged to his grandfather. So, local Mervue United, who had battled to a promotion play-off in 2013, were downgraded, as were Salthill Devon, and Galway FC were created. A year later they won promotion and became Galway United. 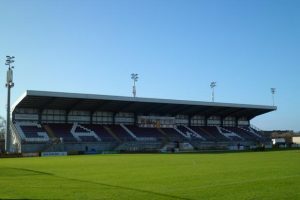 Today’s Eamonn Deacy Park, surrounded by fields on Galway’s north-western outskirts, is a prime club venue, done out in the maroon of United’s Tribesmen. It was the Claddagh, the former fishing community over the river Corrib, where the round-ball game developed in GAA hub Galway. Claddagh Rangers were one of the earliest teams. Another in the Claddagh, with direct lineage to today’s flagship United, was Galway Rovers. Competing for trophies organised by the Connacht FA – the Junior Cup, the Western League – Rovers were part of a burgeoning, community-based soccer scene. When Eamonn Deacy’s grandfather sold Terryland in 1950, it was to the Galway FA. The later-named Eamonn Deacy Park became the focus for local football – but there were other grounds, too. Just along from the Claddagh, Salthill saw a new team spring up in 1947. Changing names from Salthill Crusaders to Salthill Athletic, the club became Salthill Devon after a 1977 merger. Moving in 2002 to the newly opened Drom Soccer Park in Drum East north of Salthill, the club suffered the same fate as Mervue in the 2013 reconfiguration that created today’s Galway United. Demoted but not forgotten, Salthill currently run 20 teams in all age groups while their ground hosts the annual international Galway Cup, one of Europe’s most notable youth tournaments with previous representations from the top clubs of Manchester, Moscow and Glasgow. As for fellow 2013 fall guys Mervue, based in the district of the same name in the far east of town, United were most hard done by. Founded in 1960, and based at Fahy’s Field on Connolly Avenue/Michael Collins Road, the club spent decades struggling through the Galway & District League, Connacht Senior League and eventually third national level A Championship. A 2008 play-off win against Kildare County pushed them into the lower tier of the League of Ireland, where Mervue battled to within one point of an automatic promotion place in 2013. The team went into the play-off knowing that Galway FC would be taking their place, come what may, in 2014. Mervue still fought for a 1-0 win in the home leg of the play-off against Longford Town before taking the return game to penalties, United down to ten men for all of extra-time. ‘Ambitious development plans for 2013’ are still posted up on Mervue United’s website. By the time of Mervue’s demotion, the club’s youth product Greg Cunningham had won all his four caps for Ireland, carving out a successful career at Nottingham Forest and Bristol City. The club currently runs youth teams, an academy for kids aged six and up, and a senior team in the Western Hygiene Galway & District Premier, playing against the likes of Athenry, Corrib Celtic, Galway Hibs and Salthill Devon. The superb facilities at Fahy’s Field haven’t gone to waste. The revival of the city’s main club, a Premier League side since immediate promotion from the First in 2014, gives the game in Galway focus and national profile. Galway United may not have torn up many trees in that time, but fans from Dublin, Dundalk and Cork can look forward to convivial away trips, watching soccer in one of Ireland’s best-equipped club grounds. Hourly daytime trains from Dublin Heuston take 2hr 20min (cheapest single €18, last service back 7.20pm, first back 5.30am). Bus Éireann runs the No.20 (4hr 20min) and X20 (3hr 20min) hourly from Dublin Busáras (€10.50 single), last service back 9.30pm. GoBus and CityLink are quicker (2hr 30min), slightly dearer and return earlier. Both offer direct services from Dublin Airport. Galway’s central Eyre Square is the hub for trains into Ceannt station and local and national Bus Éireann services. Other companies use the coach terminus on nearby Forster Street. For limited transport options to the ground 25min walk away, see Galway United. 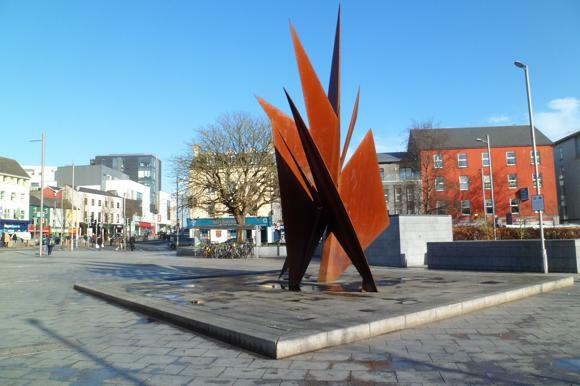 Big O Taxis (+353 91 58 58 58) is based on Eyre Square. 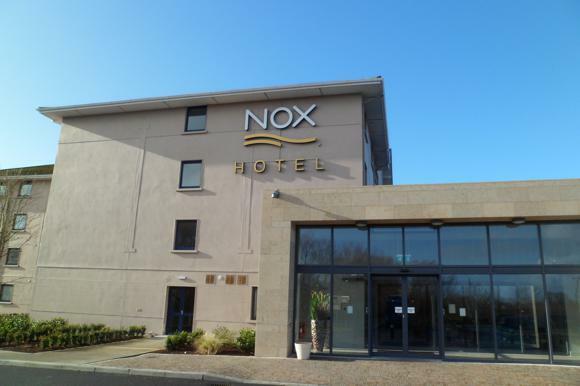 This Is Galway has an attractive hotel database. 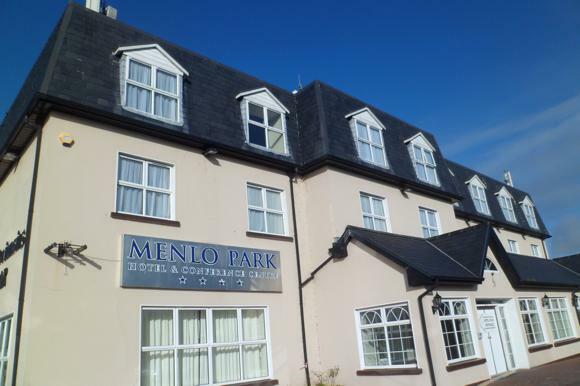 On Headford Road nearest the ground, Menlo Park is a great, 54-room four-star known for its Bar Beoga while the trendier Nox offers live sport and burger deals in its bar and daily specials in its restaurant. 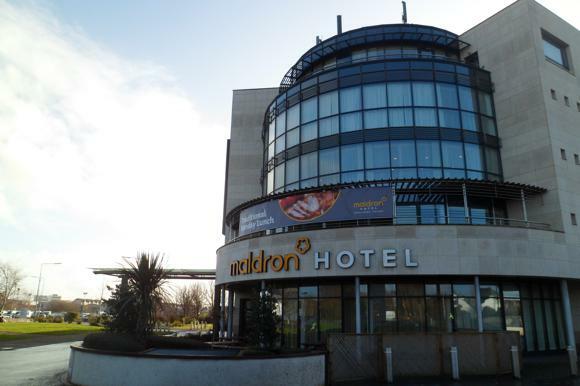 The nearby Maldron houses a six-room spa and the Point Bar for sport-watching in comfort. 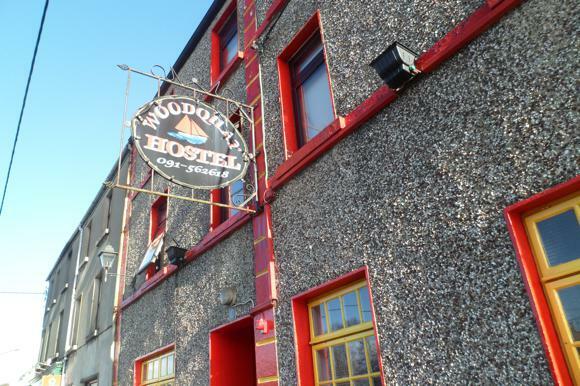 On the walk from station to stadium, the 20-bed Woodquay Hostel is handy for nightlife. Run by a sport-focused owner from County Galway, it sponsors a local girls’ soccer team. 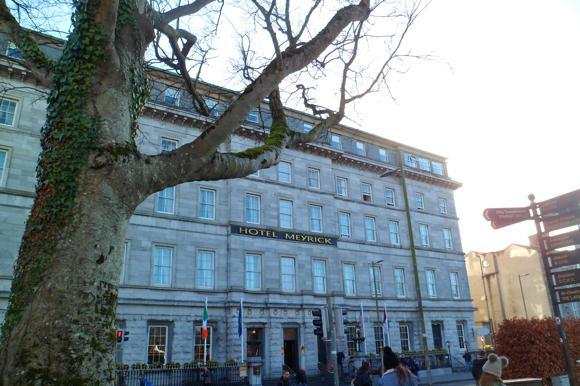 By Ceannt station, the Meyrick is a classic railway hotel, spiffy and modernised, with a panoramic top-floor spa to boot. Bars fill the city centre, particularly a hub fanning out from Cross Street. Old-school Dew Drop Inn (aka Myles Lee) on Mainguard Street is always busy, particularly for live sport. 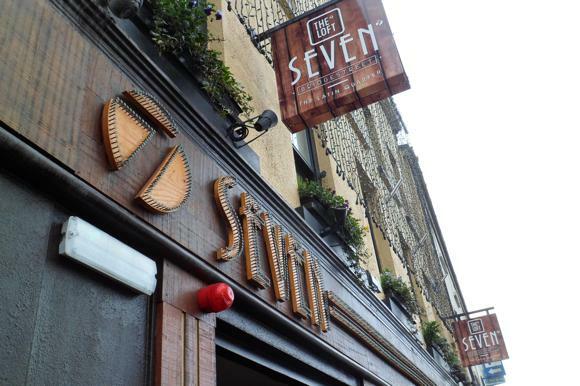 Seven Bridgestreet is more contemporary, with match action on big screens, quality food and a live agenda. 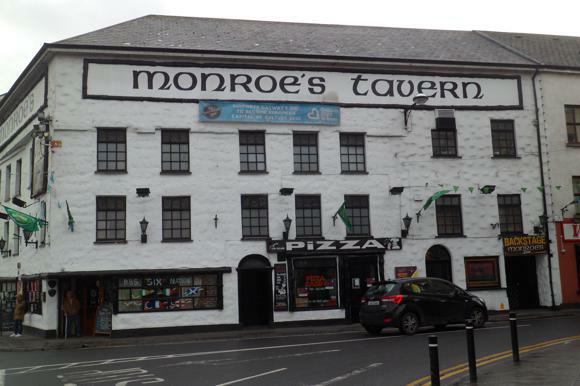 Over the river on Dominick Street, landmark Monroe’s has been providing live sport and music for generations. 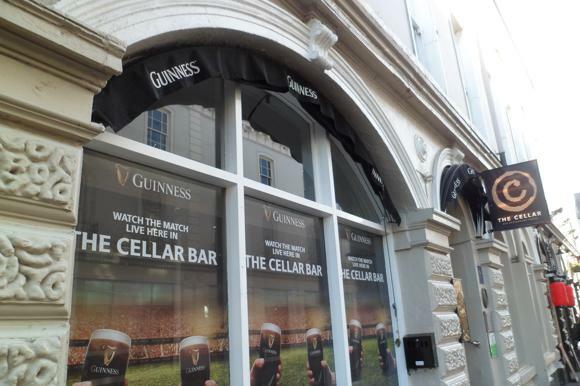 Near Eyre Square, The Cellar on Eglinton Street fills with drinkers, diners and football-watchers, with music five nights of the week. 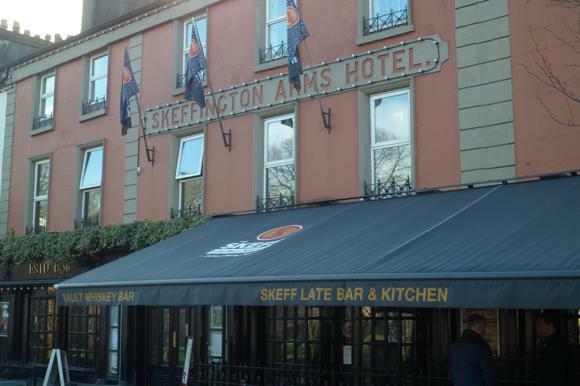 The Skeff is a local institution, nine sports screens in six bars, DJs, burgers and late cocktails. It also has 24 en-suite guestrooms and a whiskey cellar. 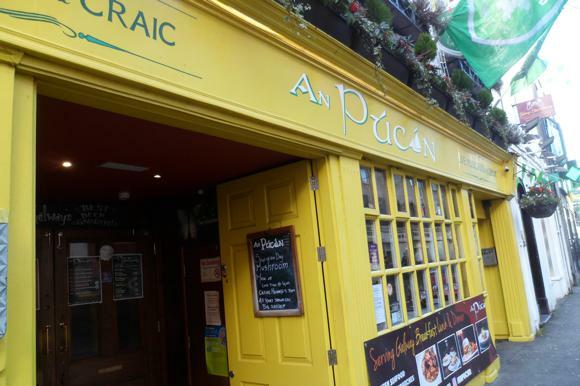 Across the square, An Púcán is a prime spot for sports, with two drop-down projectors and late-night live sounds.